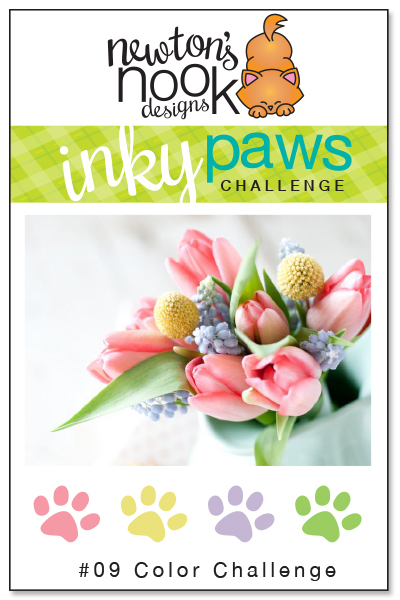 Inky Paws Challenge: Inky Paws Challenge #9 Winners!! Inky Paws #09 Challenge - WINNERS! We really had fun a blast checking out all the great entries for our latest Inky Paws Challenge at here at the Newton's Nook Designs blog! This months theme was a color Challenge! We had so many pretty pastel cards - it was hard to pick a winner! Great job & thanks to everyone who played along! 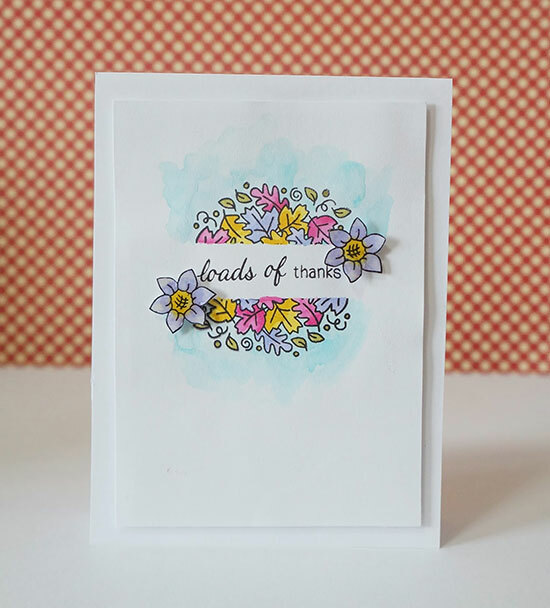 Our first winner is this cute card by Diane! We loved how she created heart pattern behind using all the colors in the palette behind those two cute tigers from the Wild Child set. This is such an adorable card! You can see more of her work and congratulate Diane on her blog, Peaceful Lane. Our second winner is this cutie by D ~ Designs by Dragonfly! It's so fun how she used our new free digital flower image and created all those fun little shakers! What a cute Mother's Day card! You can see more fun creations by D ~ on her blog, Designs by Dragonfly. Congrats Diane and D~!! Don't forget to send me an e-mail at info@newtonsnookdesigns.com to claim your $10 store credit and get your winner badge for your blog! 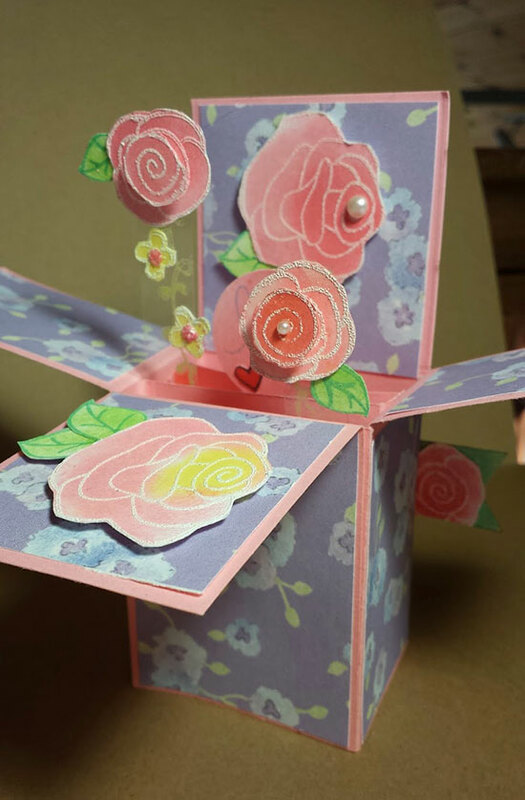 This box card by Peggy using Love Grows is super fun! It has so many fun layers! Check out her blog, That's a lot of Scrap, for lots more photos of her project! 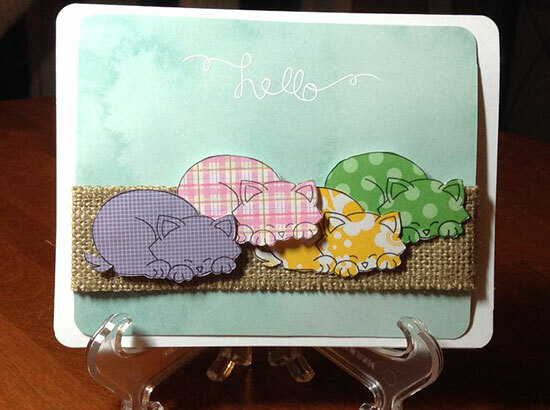 We thought this kitty card by Cindy was a really fun way to use all the colors in the palette! She used the kitty from Newton's Antics and the "hello" from Winged Wishes! We also really loved this card by Marina! It's so fun how she used the fall leaves from Wagon of Wishes but made it look springy by using the pastel color palette! What a good way to get more use out of your stamps! Thanks again to everyone who entered - It's really so much fun to look through all the entries and see everyones ideas! If you didn't win this time we hope you'll try again next month. We've got a really fun challenge idea in the works so make sure to check back in a couple weeks -- the new challenge will be posted on Friday, May 23.